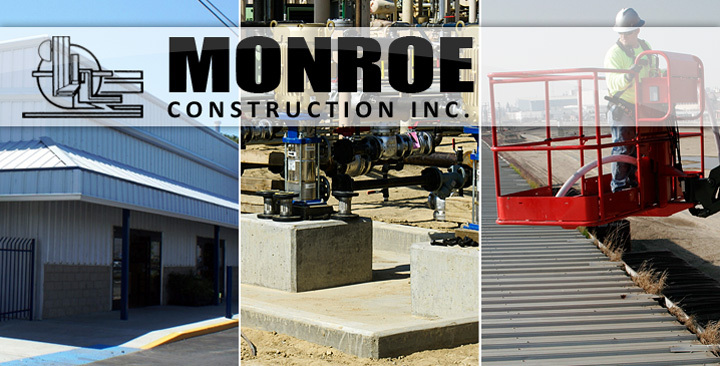 Monroe Construction, Inc. is a general construction firm with over 30 years experience in commercial structures and concrete construction. We are known for quality production, exceptional service, and safe work practices. Explore our website and learn about the industries we serve, areas of specialization and the clients that have placed their trust in Monroe Construction. Supplier Diversity. Monroe Construction, Inc. is a certified Woman-Owned Business. Build a Career. Apply today. Safe Practices. Our safety record is outstanding because we make it a priority. © 2010 Monroe Construction Inc.